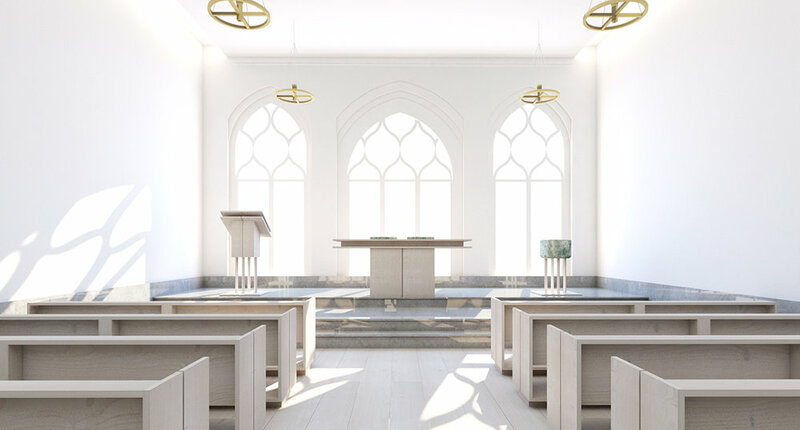 With the renovation of the Church of Sweden of New York, our aim was to redefine the role of religious institutions of today. 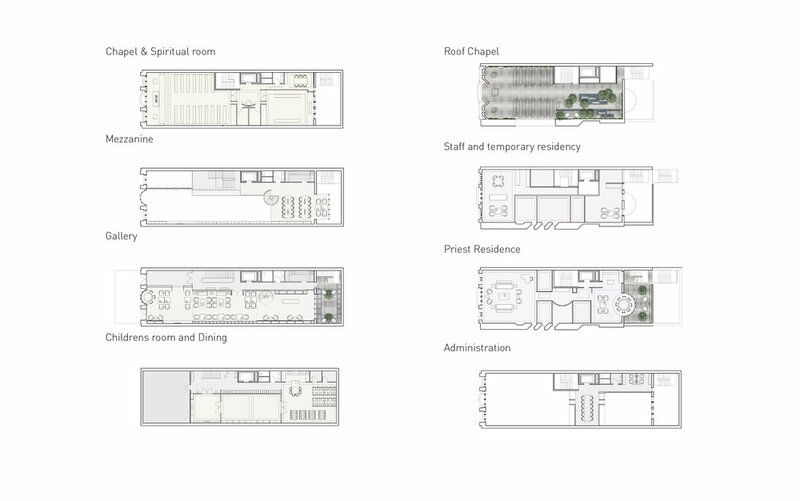 Drawing from knowledge of sustainable hospitality practices and new workplace models, the design emphasizes the importance of the church as a place for social gatherings and personal retreat, with the added benefit of the presence of spiritual/flexible spaces and church staff. 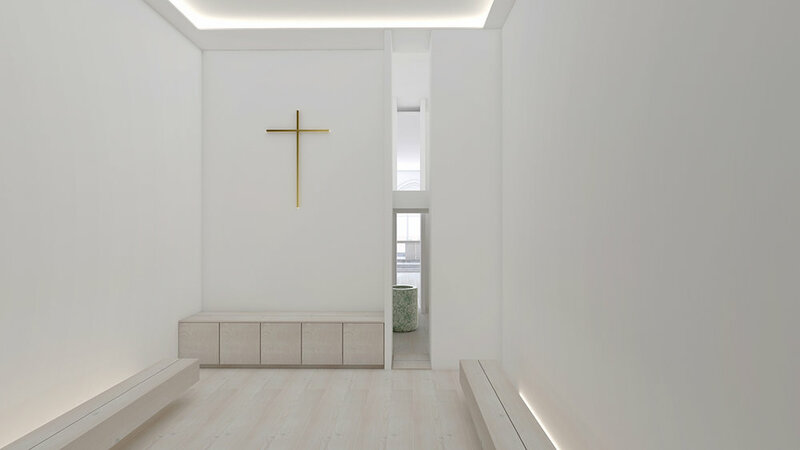 In addition to the social programming of the building, there are two spatial strategies at play: 1) connecting the experience vertically by transforming the conventional staircase (the main means of circulation) into the skylight-topped bell tower that evokes celestial infinity as you move up the stairs; 2) since Christian religious spaces are directional as spatial constructs and need of a focal point, all spaces open up to the back, with the new view of Nature, also bringing in light and air. 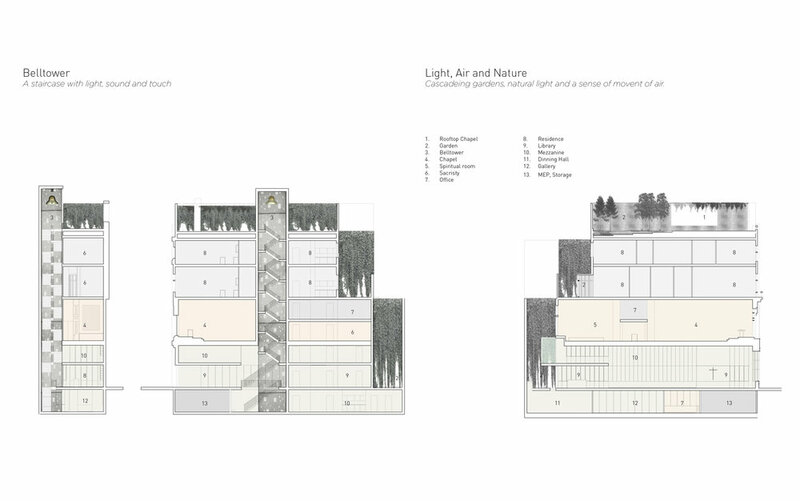 The cascadeing garden from roof top to basement representing the four landscapes of sweden - pine forest, birtch forest, the hills and the lakes. 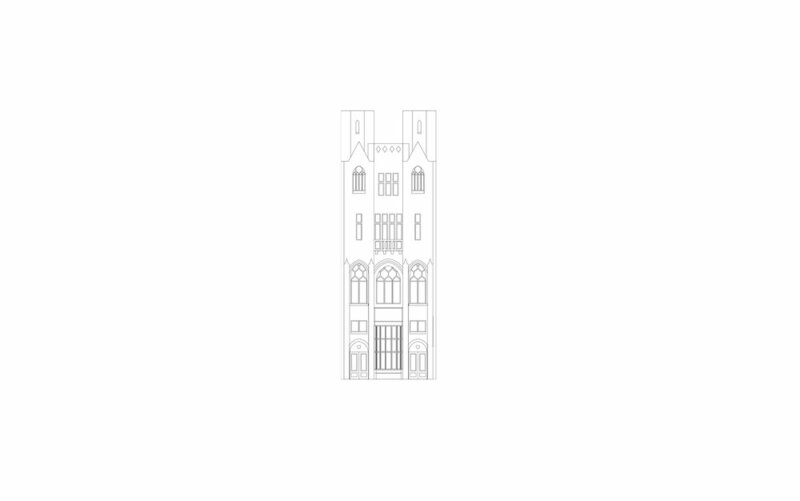 Nature and earth becomes the symbol for Swedish spirutality.